This facility is made of 8 solar collectors installed in 45º over the flat roof to secure hot water supply during the whole year. Blocks of flats usually have a big room available on the roof, enough place to install some solar panels that feed the whole building. Solar energy is a renewable energy not very often used until now. 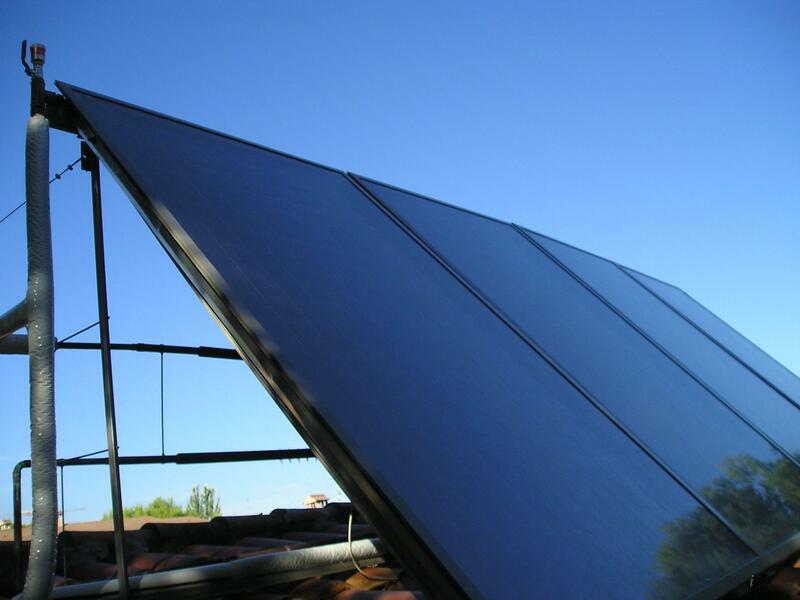 In this facility, three families of a block of flats decided to have a solar thermal energy facility for production of solar hot water, and with the agreement of the whole block, two collectores were installed only for this family. Solar energy in Orlando, Florida The facility consists of 8 collectors placed on the flat roof, at 45 degrees, to ensure hot water, year-around. For climatization throughout the year, a reversible heat pump was installed, which generates both, heat and cold. The transmitter is a fancoil, which contains a series of pipes through which hot water runs in the winter and cold in the summer. An internal fan delivers heat or cold to the area. Heat pumps are high efficiency devices that provide cooling and heating and can also be used for hot water in the house. An example of heat pumps are, air conditioning units and refrigerators, though the best way to maximize its efficiency is to use them as the main energy generating system in the house. A heat pump generates up to 5 units of energy per unit of energy consumed (electricity). To get a better idea, lets point out that, a conventional boiler, produces less than one unit of energy, per unit of energy consumed, to operate.This is due to the fact that it moves heat from one place to another. 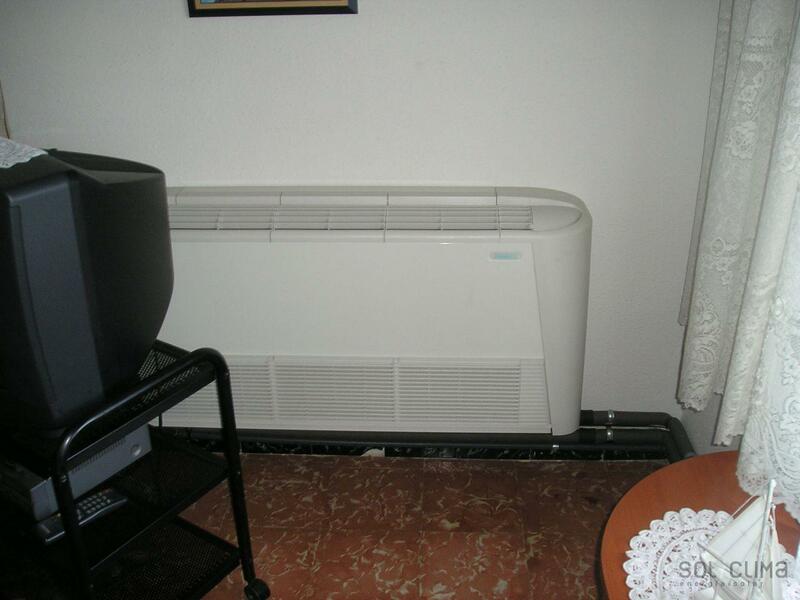 For example, for heating, it extracts heat from outside of the house and, though it may seem surprising, it´s capable of extracting heat even if the outside temperature drops below zero degrees. Until recently, Western society has not given much importance to this type of energy efficiency, but the current global crisis, climate change, rising oil prices and the widespread awareness of society and institutions, seem to indicate that, these devices, have a great future ahead.